The fact that fossil fuel resources are limited, and the pollution caused by its usage is causing an apparent danger to our environment, the alternatives that are promising to reduce the dependencies are gaining popularity. As the demand for renewable energy and zero emission power systems increase, the demand in the global wind turbine operations and maintenance market is expected to increment at a notable CAGR during the forecast period of 2017 to 2025. In the recent past, government initiatives across various countries have given necessary thrust to the production of various components such as gearbox, blades, yaw, generator, and hydraulic pumps, which are prone to failure and require regular monitoring and servicing. With effective maintenance, the failure rate can be reduced which in turn will increase the efficiency with lowered downtime. While onshore applications currently serve the maximum demand in the global wind turbine operations and maintenance market, increased offshore exploration activities across the globe will help this segment to emerge at a rapid rate in the near future. 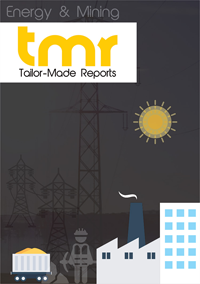 Currently, the global wind turbine operations and maintenance market is moderately consolidated with the major players such as Suzlon Group, Siemens Wind Power GmbH, GE Wind Turbine, Gamesa Corporation, and Enercon GmbH ahead of the curve. These major players aggressively look to extend their agreement with wind farms while aspiring to find new ones at the same time. Apart from reliable and cost-effective condition monitoring techniques, after sale services are of optimum valuation in this market, and those who will maintain a stronghold will have to impress their end users with efficient relationship. Nordex SE, Vestas Wind Systems A/S, Xinjiang Goldwind Science & Technologies, Co. Ltd., Upwind Solutions, Inc., and Guodian United Power Technology Company Ltd. are some of the other notable players operating in this market. Wind turbines are capable of producing vast amounts of electricity at competitive prices, provided they are efficiently maintained and operated. Being a cleaner, greener source of energy, wind energy is also more reliable than other sources of power generation. Therefore, the demand for wind energy is slated to soar over the next few years, fuelling the growth of the global market for wind turbine operations and maintenance. By application, offshore and onshore wind turbine operations and maintenance are the two major segments of the market. The rising number of aging wind turbines emerges as a considerable potential for the growth of the market. The increasing downpour of funds from financial institutions and public and private investors has also been playing a significant role in the expansion of the market. On the other hand, insufficient number of skilled personnel, coupled with increasing costs of logistics, remains a key concern restricting the growth of the market. However, the growing demand for offshore wind turbines across the globe is likely to materialize into fresh opportunities. A number of market players have been offering diverse services with a view to make a mark in the global market for wind turbine operations and maintenance. For instance, Scotland-based SgurrEnergy announced the provision of unmanned aerial vehicles (UAVs), commonly known as drones, as a part of its inspection services. Detailed and accurate assessments of wind turbines can be obtained through these drones, which are fitted with cameras, with four times quicker inspections than traditional methods, claims the company. This new approach has not only reduced downtime, but also has prevented the risks faced by inspection personnel. The increasing number of approvals and new projects is preparing the ground for a rising demand for wind turbine operations and maintenance. In March 2017, for example, the Scottish government approved the installation of eight 6-megawatt wind turbines off the coast of Aberdeen, towards the northeast. The state of Maryland in the U.S. will witness the installation of a new offshore wind plant, encouraging greater adoption of wind energy in the country. The U.K. has also been keeping pace with the developments, with the installation of a 400-MW offshore wind farm, off the Sussex coast throughout 2017. The Rampion project will be developed by E.on, who has partnered with Canada-based Enbridge Inc. and the UK Green Investment Bank plc. Based on geography, the global market for wind turbine operations and maintenance has been segmented into Asia Pacific, Europe, North America, and Rest of the World (RoW). Countries such as India, China, Spain, France, Germany, Scotland, and Brazil are some of the prominent users of wind energy and are therefore likely to account for a considerable share in the market. In the U.S., favorable government policies are backing the growth of the market. For instance, in 2013, a legislation that permits energy companies to transfer the costs of offshore wind credits to ratepayers was approved. Asia Pacific is a market with vast potential, with India and China being major contributors aiding the expansion of the market. Some of the major companies operating in the global market for wind turbine operations and maintenance are Gamesa Corporación Tecnológica, Xinjiang Goldwind Science & Technologies, Vestas Wind Systems A/S, Upwind Solutions, Inc, GE Wind Turbine, Guodian United Power Technology Company Ltd., Nordex SE, Enercon GmbH, Siemens Wind Power GmbH, and Suzlon Group. A number of firms have been focusing on mergers and acquisitions to extend their presence across new regions.